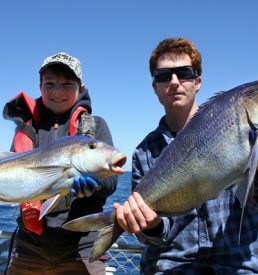 The team at Port Bouvard Charters are passionate about fishing and do our very best to ensure your time on board with us is a memorable experience! 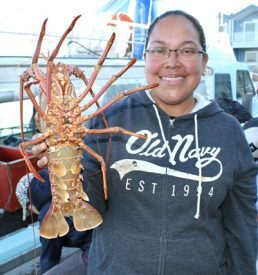 We offer an boutique fishing charters with only 10 people on board means more space and service for fishing. We have a great team of skippers and crew who utilise their vast experience fishing off the Western Australia coast around Perth. Looking for the Blue Lightning Crew – check out them out on another site. We strive to bring you the very best fishing from every time. Contact us today to discuss your next booking! We look forward to the opportunity to welcome you aboard! Marty has been fishing most of his life and willing to share his expertise and love of all things fishing. He acquired is Master IV in 2016, but skippering boats from a very young age. He knows these areas exceptionally well to the great benefit of our guests! One of our experienced and friendly skippers! 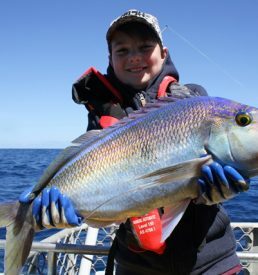 In addition to his massive fishing addiction, Jayden has a great personality and is always close by to lend a hand and share some advice to make your experience with us as enjoyable as possible! Sarah will be taking all your bookings! We might have to offer a reward for a photo! Sarah has a bubbly personality and would love to chat to you about your booking for your next charter, plus lovely wife to Marty.